The real estate commission is the agent’s fee for their services. It is a percent of the sale price negotiated at the time of the listing. Yes, that’s right, at the time of the listing. Every seller has the right to negotiate the commission, just as every agent has the option to hold fast to their fee. Smart, competent, full-service agents charge more than fee-based, or flat-fee, agents. Know what you expect and want from your agent before attempting to discount the commission. Agents with an in-depth knowledge of the market, a team of associates and assistants, a full marketing plan and a syndicated listing schedule will always charge more than an agent who merely adds your house to the MLS and wishes you luck with your sale! 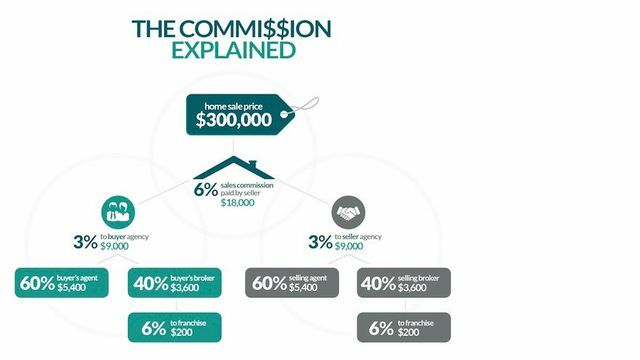 In traditional home sales, sellers almost always pay the commission. But it is not cash up front or out of pocket per se. Usually, only when a buyer brings the funds to the closing table for the purchase, some of those funds are set aside for the agents – and their companies – that helped align all the people and parts and make the closing happen! There is a tendency by some buyers to think they can negotiate the commission. They can not. The listing agreement specifies the commission. It is a contract between the seller and the brokerage. It details the terms under which a commission is paid and the total commission to be paid. The buyer, therefore, can only negotiate the purchase price and terms of the sale, with the seller’s agreement. The buyer’s agent is paid by the seller, because the listing agent is essentially sharing a percentage of the commission to the buyer’s agent who brings the buyer to the closing table. Sharing the commission is called cooperating, or a co-op commission. And remember, the real estate commission—along with most costs associated with buying and selling a home—is tax deductible for you. Contact REALTOR®, Broker, Real Estate Agent, Strategic Negotiating Specialist, LeadingRE Relocation Specialist, and Owner of House Into Home NC JUDY JERNIGAN today for best-of-class service, advice, and results – 336-701-JUDY.